Earth's Internet & Natural Networking: Underwater Electrical Networks: Possible Climate Driver Which Might Have Been Disrupted ? "Earth's Internet" attempts to document, reference as much of the natural world networking abilities and strategies as possible. Such Scientific findings are at odds with industrial scientific approaches maintaining our planet. Be warned. If your learning approach it based on Memes with short clever quips, you may be disappointed here. Underwater Electrical Networks: Possible Climate Driver Which Might Have Been Disrupted ? "In the photo above, orange strands of the new Desulfobulbaceae stretch in a laboratory beaker between a reddish, oxygen-rich sediment layer and a dark, sulfurous, oxygen-depleted layer. This is the essential structure of much of the world's seafloor, and one that the new Desulfobulbaceae evolved to exploit: One end feeds on hydrogen sulfide below, pulling out an electron that's sent up the chain and, at the other end, is used to pull in oxygen. (See diagram below.) It's a simple form of breathing. Water is generated as a byproduct." The world's deep seafloors are dark and airless places, but vast swaths may pulse gently with energy conducted through a type of newly discovered bacteria that forms living electrical cables. The bacteria were first detected in 2010 by researchers perplexed at chemical fluctuations in sediments from the bottom of Aarhus Bay in Denmark. Almost instantaneously linking changing oxygen levels in water with reactions in mud nearly an inch below, the fluctuations occurred too fast to be explained by chemistry. Only an electrical signal made sense -- but no known bacteria could transmit electricity across such comparatively vast distances. Were bacteria the size of humans, the signals would be making a journey 12 miles long. Now the mysterious bacteria have been identified. They belong to a microbial family called Desulfobulbaceae, though they share just 92 percent of their genes with any previously known member of that family. They deserve to be considered a new genus, the study of which could open a new scientific frontier for understanding the interface of biology, geology and chemistry across the undersea world. Seen through an electron microscope, the Desulfobulbaceae -- the researchers haven't yet given them a genus or species name -- appear in blue. They link end-to-end, forming filaments nearly an inch in length. One end feeds on hydrogen sulfide below, pulling out an electron that's sent up the chain and, at the other end, is used to pull in oxygen. It's a simple form of breathing. Water is generated as a byproduct. Each filament of the new Desulfobulbaceae doesn't merely represent the end-to-end alignment of many individual microbes, but should be a considered a single multicellular organism. With so much electricity being transferred, are other organisms tapping the lines? Might the Desulfobulbaceae be a power source for entire as-yet-unappreciated deep-sea microbial ecologies, which in turn shape some of the planet's fundamental biogeochemical processes? "These are exciting times for microbiologists," wrote microbiologist Gemma Reguera of Michigan State University in a commentary accompanying the new study. "The present work reminds us -- one more time -- just how much more awaits discovery." As seen through an electron microscope, the Desulfobulbaceae. The researchers haven't yet given the organism a name of genus or species as yet. 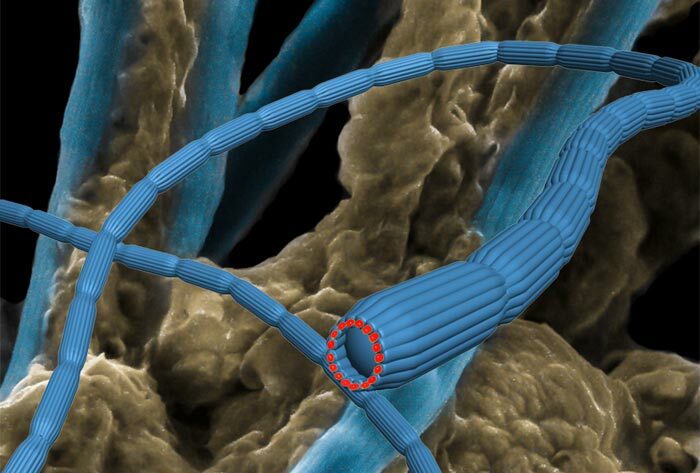 This composite image shows a microscopic image of the actual bacteria filaments as light blue structures in the background and an Artist's impression of the bacterial filaments (and the darker blue, in the foreground) The electrical conducting strings are shown in red. Oxygen consumption in marine sediments is often coupled to the oxidation of sulphide generated by degradation of organic matter in deeper, oxygen-free layers. Geochemical observations have shown that this coupling can be mediated by electric currents carried by unidentified electron transporters across centimetre-wide zones. Here we present evidence that the native conductors are long, filamentous bacteria. They abounded in sediment zones with electric currents and along their length they contained strings with distinct properties in accordance with a function as electron transporters. Living, electrical cables add a new dimension to the understanding of interactions in nature and may find use in technology development. A major challenge for multicellular organisms is that of supplying every cell with food and oxygen. Nils Risgaard-Petersen and colleagues report a surprising solution to the problem, arrived at by multicellular filamentous Desulobulbaceae bacteria several centimetres long, living in the upper layers of marine sediments sampled in Aarhus Bay, Denmark. These organisms seem to function as living electrical cables, transporting electrons from sulphides generated in organic matter in deeper anoxic sediments to the oxygen available in the surface layers. These living micro-cables raise a host of topics for future research, and could also find technological applications. One thing that intrigued me is what possible influence could this have on climate as a major driver of this necessary machine which allows life to exist here on the surface. And I suppose what could be learned and copied from this function. Now the reason I mention climate influence is because trillions upon trillions of other free floating bacterioplankton which consume decaying algae in the water and also give off sulfur aerosol compounds which do aid in the important work of cloud formation over oceans. Remember what the good science has discovered about vegetation in rainforests giving off Biogenic Volatile Organic Compounds (BVOC) which aid in cloud formation and rainfall ? Remember the electric conductivity found in trees and the negative ions given off by vegetation which effect the atmosphere in a number of very important environmental factors related to climate maintenance ? Here's my point. Are there any interconnections within the ocean floors and plankton as there are on land with networking cooperation between differing species of plants and the negative electromagnetic activity which influences them from the grounding in the earth to the reaching towards the positively charged sky above ? 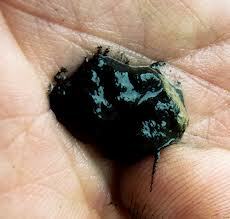 This is why I hate terms like "Primitive" when speaking of tiny organisms such as this. Without them so-called higher life like us doesn't happen and good science has found that they are actually far more complex than the long time general biased ideologies have mandated their life and roles to be. Of course now one wonders about the effects on these newly discovered bacteria and the possible consequences ? Here's another thought. 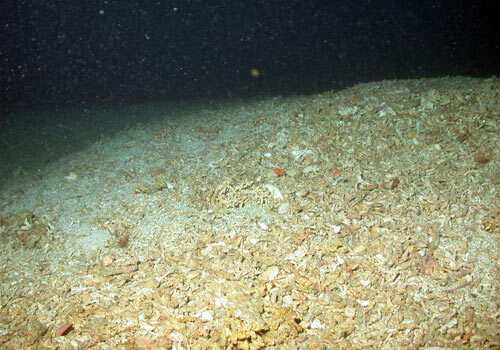 Having written a post on Sweden's & Norway's Coral Reefs and the vast destruction that has taken place in on bottom dragged nets attempting huge catches of Cod, Halibut and/or flounder by massive industrial sized modern day Fishing Trawlers, could this be effecting climate if such ocean bottom bacteria do act as a major component ? It's already know that most all other life is almost completely destroyed on the ocean floors by this irresponsible activity, but what about this new component ? And there is yet another industrial mining operation factor to seriously consider. 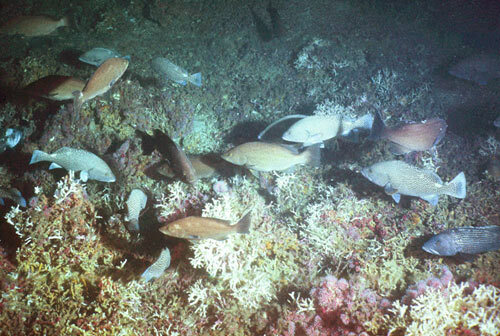 Not long ago there were underwater photo shots of where mining operation equipment was tested on the sea floor. It made a moonscape of sorts on the bottom where previous deep sea life existed. Given these latest possible important findings on this electrical conductivity role of these bacteria, it will be imperative to find out quickly just what important function they serve in Earth's biological inter-connectedness. Clearly there are many other things to consider with regards the potential destructiveness of this latest technology to extract Earth's natural Resources for further consumerism to keep those precious world economy engines running. I ultimately have no idea if there is some important role in which these power cable bacteria may play in climate maintenance. In view of the critical ecological dilemma we find ourselves in, it would behoove all of us to encourage a quickening the pace to find out soon before something further goes wrong with climate. Even the effects of that disaster British Petroleum fiasco in the Gulf. What further environmental hand did that have on these interesting bacterial power cables and has this influenced any of the present freakish storm weather ? Again I don't know, but just throwing the questions out there. It's clear that Land plants in an old growth setting no matter what vegetation type of ecosystem are ground deep in the earth, tapped in to subsoil water sources and transmit not only water and nutrients, also a measure of electrical energy through their network of interconnected root systems via a sophisticated mycorrhizal fungal grid system. From research and technological innovations by companies like Voltree, it is known that a measure of electrical current does run through the living structure of a plant and into the atmosphere which facilitates the Earth's water cycle. Destruction of these has proven just how true this is. Now with the discovery of these complex underwater seabed network of electrical conductivity of these bacterial filaments, do these have an effects on the countless trillions of bacterioplankton who give off aerosols for oceanic cloud formation ? Maybe there is a connection somehow through the water. Some of the latest hair brain schemes presented forth of dumping various chemicals in oceans to reverse climate change should be assessed before further damage is done to a sophisticated system that humans clearly DO NOT know everything about despite the self-promoting arrogance otherwise presented forth through various media outlets. The point now is, will humans make the connection between these connections in time ? Are Rainforests Alone Solely Responsible For Earth's Climate Mechanisms ? Trees Recharge Earth's Electromagnetic Field Yes, the Earth's Internet is also Wireless! Thanks for visiting and stopping by with your comments! I will try to respond to each comment within a few days, though sometimes I take longer if I'm too busy which appears to be increasing.